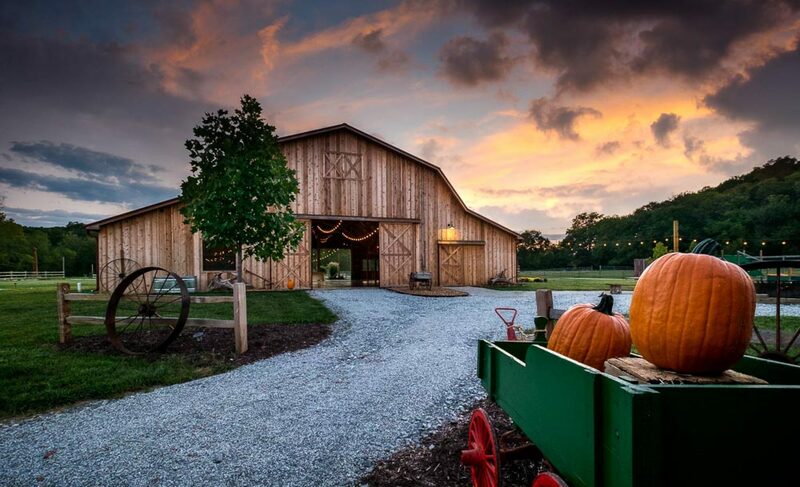 Welcome to Valley Farms – An operational farm in a beautiful valley setting is the home of our rustic barn wedding venue with 25 acres of great memories and photo opportunities. Nestled in the beautiful valleys of Northwest St. Charles County, Valley Farms is sure to be the perfect spot for you to begin your once-in-a-lifetime journey. Valley Farms provides you with a breathtaking backdrop for your special day. Full of lush fields, flowing creek, majestic tree lines and a spectacular rustic cedar barn. Let us help to make your special day truly one that you and your guests will never forget. Our venue rental packages start at $3900 for a Friday, $4400 for a Sunday and $4900 for a Saturday. Scroll to bottom of page or select the “Request Info” link to request additional pricing and info. We can’t wait to host your wedding. Contact us today!